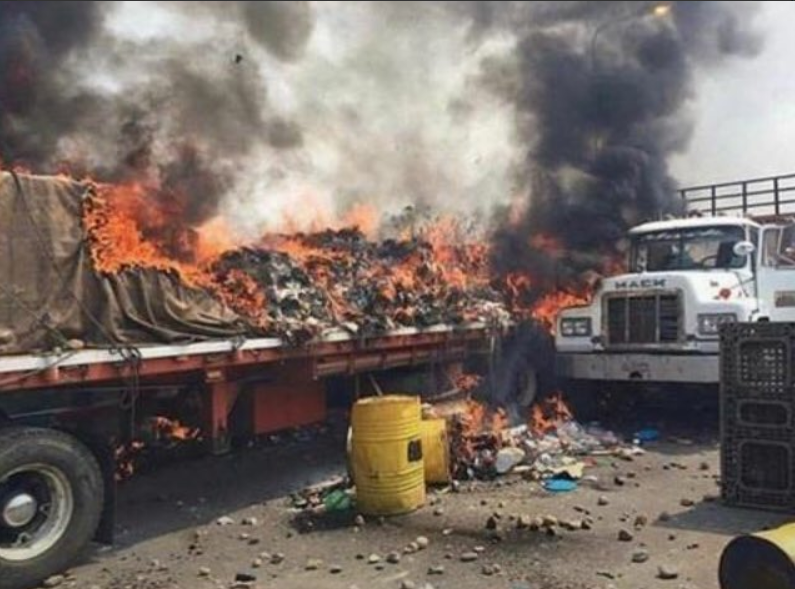 Venezuelan television host Jorge Gestoso echoed Arreaza's sentiment, tweeting that the "burned trucks with humanitarian aid is another attempt to "provoke the invasion" using a "fake news" false flag. 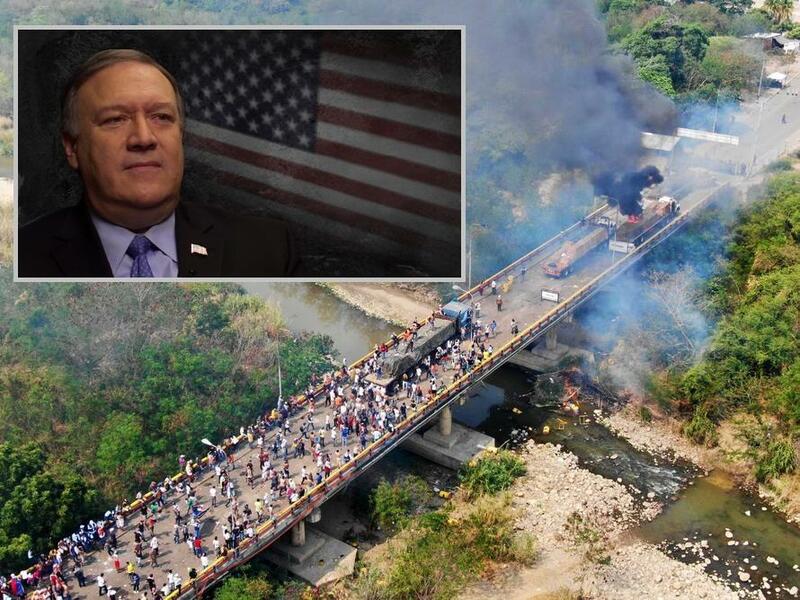 Pompeo took to twitter to denounce "Maduro's refusal to let humanitarian assistance reache #Venezuela," asking "What kind of a sick tyrant stops food from getting to hungry people?" Tensions have reached a boiling point at the Venezuela's border crossings, including a violent shootout near the border with Brazil that left two dead and 17 injured when national guard soldiers opened fire on a group of civilians attempting to keep open a segment of the southern border with Brazil for deliveries of humanitarian aid. Anti-Maduro protesters, meanwhile, have taken to the streets. "We want to work!" protesters chanted before being dispersed by tear gas and rubber bullets, after which the crowd hurled stones at the soldiers. Some among the crowd tried to dismantle a metal barrier blocking the Simon Bolivar international bridge, one of three major cross-border bridges near Urena, one of which has never been opened and was used by the US administration to claim Maduro had blockaded the country against outside aid.